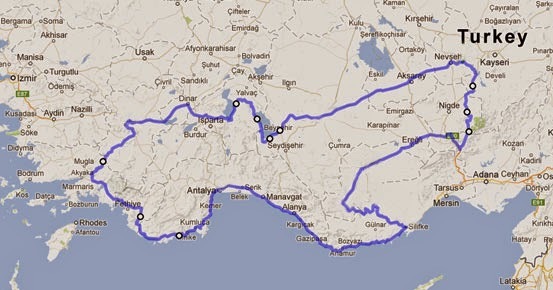 Turkey Motorbike Tours's South Turkey tours runs for 11 days/11 nights comprising of 2,600 kms (1,600 miles) starting in Antalya. They visit historical and cultural sites, riding along beautiful coastal roads with stunning views and stopping for Turkish tea in canyons and waterfalls, checking out Cappadocia, meeting the friendly locals and sampling the delicious home cooked Turkish cuisine along the way. Accommodation on this tour includes staying in independent good quality hotels for a good night's rest after a great day of riding. All our hotels are personally sourced and checked. They are 3, 4 star and Boutique hotels, all with fantastic individual qualities. 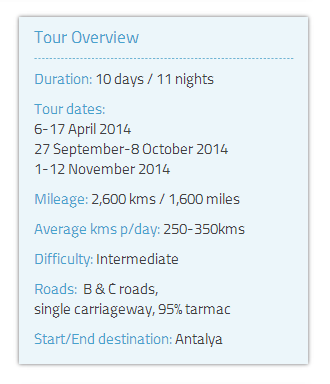 Turkey Motorbike Tours is a motorbike touring company based in London offering motorbike tours of Turkey. Their Director & tour leader Armagan Babayigit is originally from Istanbul & has been living in London for the past 13 years. 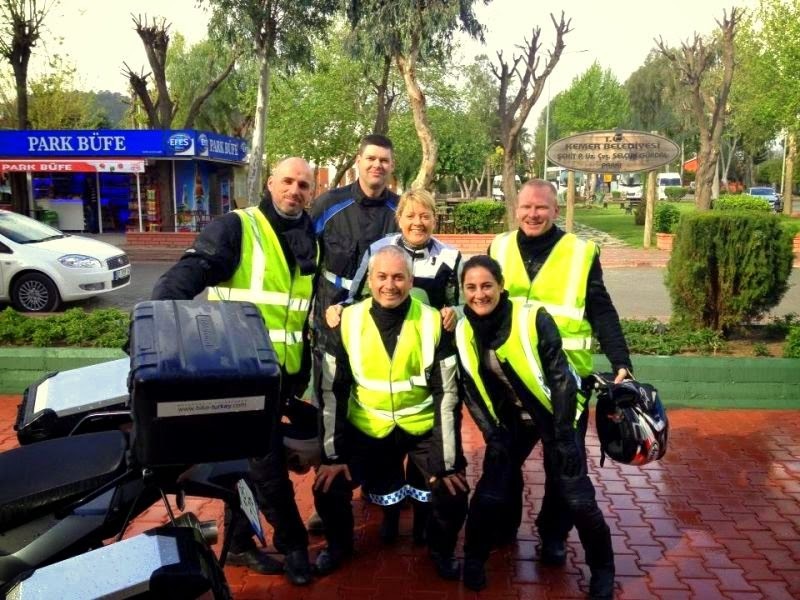 He has combined his two passions - motorbikes & Turkey - into a business & shows people from around the world the beauty of Turkey, it's stunning coastline, amazing heritage & history & of course its friendly people! Armagan will be taking 3 people from England on a 10 day tour of South Turkey departing next Monday 7th April from the Antalya Sea Life Hotel at 9am. The tour will include stops in Kemer, Antalya, Silifke, Karaman, Urgup, Cappadocia, Konya, Egirdir, Pamukkale, Fethiye & back to Antalya!